Researchers are aiming to produce flexible and malleable substitute materials to replace defective small blood vessels. The team led by Didier Letourneur, in Inserm Unit 1148, took inspiration from the composition of algae when designing polysaccharide-based vessels. These synthetic vessels have been successfully grafted in rats. “At three months post-graft, three quarters of the vessels that had been grafted in the place of the abdominal aorta were functional,” states Cédric Chauvierre, laboratory physical chemist. What if the sea could suggest tissue engineering methods? 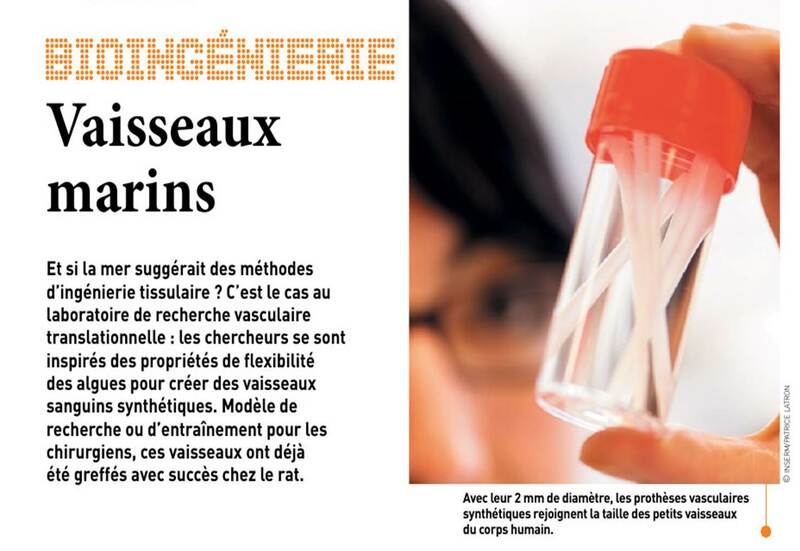 This is indeed the case in the translational vascular research laboratory: the researchers drew inspiration from the flexible properties of algae to create synthetic blood vessels. Whether used as a research model or to train surgeons, these vessels have already been successfully grafted in rats. Two millimeters in diameter, synthetic vascular prostheses are the size of small vessels in the human body.